Hi everyone. Sorry we’re a day late! For September, we’d like to show some of the unwrap & PBR material conversion that our artists have been making. The move to PBR in the new engine requires a lot of trial-and-error in different lighting conditions and that’s where most of the month has gone. 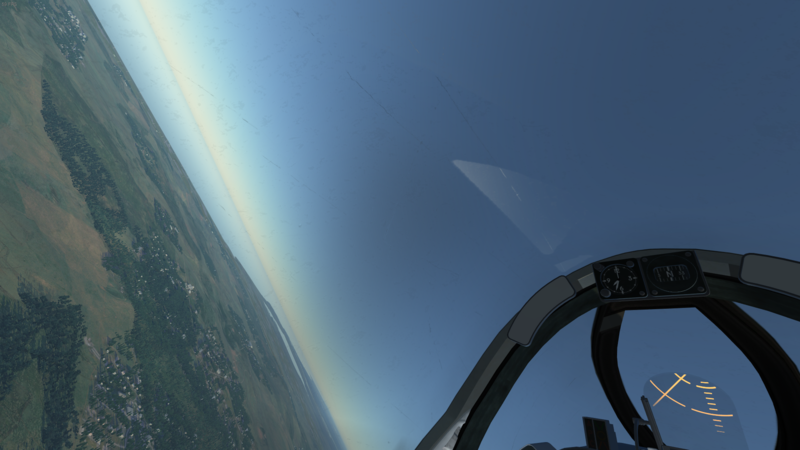 With PBR being the future of the DCS rendering engine, we figured it was time to make the conversion. While the unwrap is still not complete (you’ll see the matte throttle handle and toggle switches), it’s coming along slowly-but-surely. 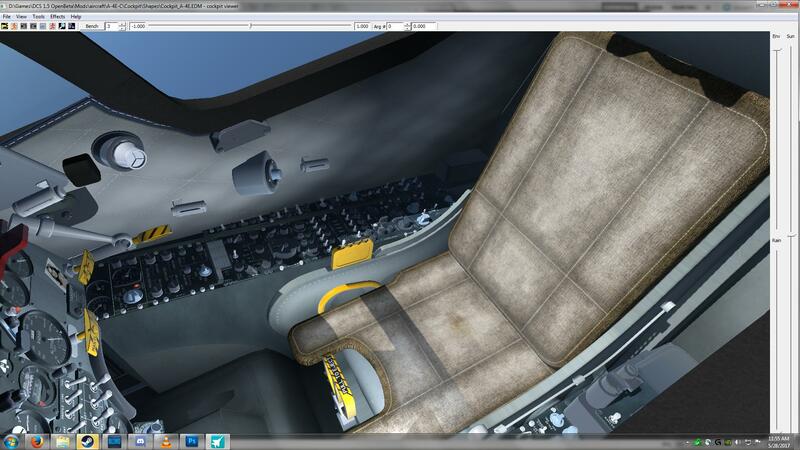 First, while the interior unwrap is continuing, we aren’t yet finished updating the new surface texturing to match, and thus we’re not quite ready to show off the fully painted cockpit yet. Hopefully ready within the next few weeks and ready for our next update. We did take the time to re-model our fuel tanks (to include bobtail variants on the centerline) and give each livery its own fuel tank skin, as a function of the squadron you choose. We combed through a bunch of historical photos we had of the various squadrons, and tried to replicate the tanks as accurately as possible. Been a slow summer so far, with more vacations, one team member in OshKosh, one team member traveling Europe with his band, and me just being lazy. Cockpit unwrap still continues, slowly but surely. 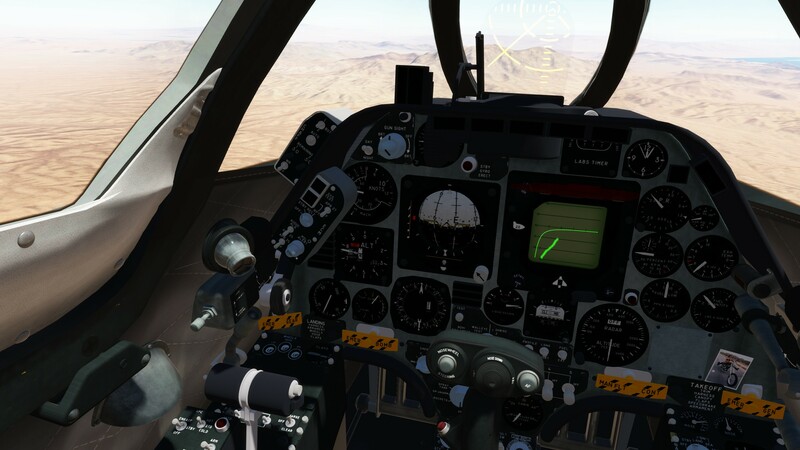 Work is still in progress to improve cockpit lighting to work better in the new engine. Lastly, what we can show, is finishing out a few more weapon systems. Mostly smaller changes and refinements this month, as we try to polish and finish various bits of our modeling so we can put those elements behind us. As such, most of this update will be pictures of elements that are recently unwrapped and textured. Before mentioning any of our content however, we just want to toot our own horn and say Happy Birthday to Us! 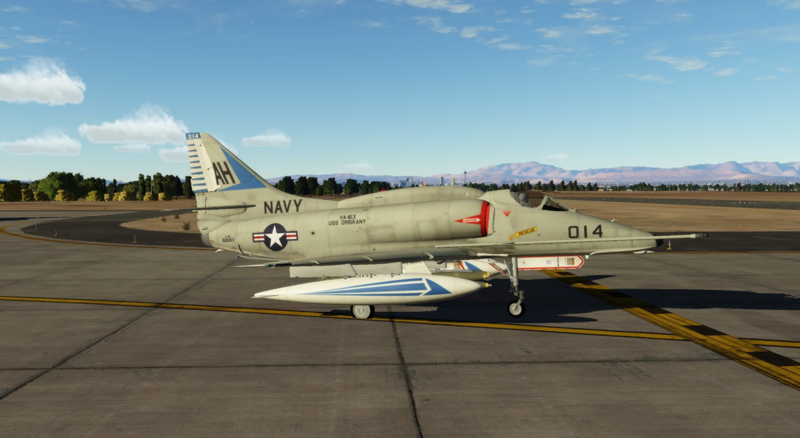 As of the first week of January, we’ve now been working on the A-4 for a year. We’ve had a few bumpy moments along the way, but every time we think something isn’t possible, one of us pulls a rabbit out of a hat and here we are… Tempus fugit, just like our A-4E.